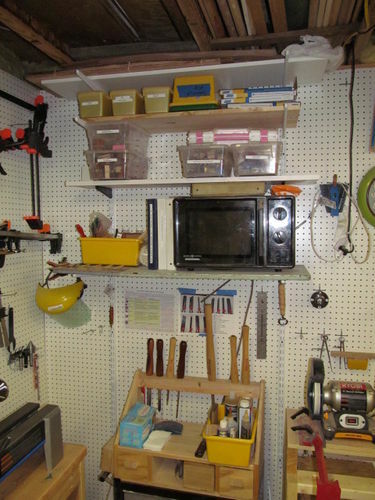 Workshop #25: ShopQuest 2014- I found my Workbench! 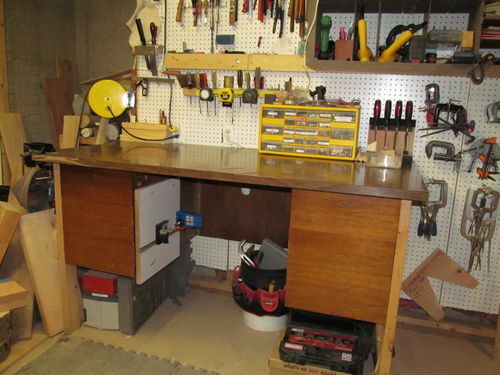 Here you can see my workbench on the right side, this is what it looked like after I got the Lathe off and on its stand. Some items were shuffled but it generally was full of lots of stuff. I took some time yesterday and this morning to do some cleaning and organizing. 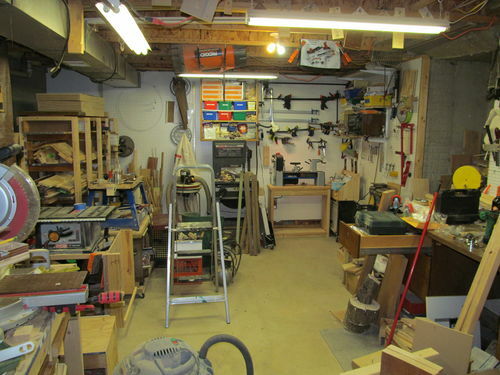 I also worked a bit on my Lathe area as I need to get that straightened out with the new lathe there. Cleared off all of the shelves and actually figured out what all was on them. They look much better now…. Now time to jump in the shop and get some work accomplished. HEY I SEE THE MICROWAVE! Is the pie warmed up; and where is the coffee pot? Or did I miss it? I can’t post a picture of my workbench. I don’t think me holding a camera would be able to get by it. 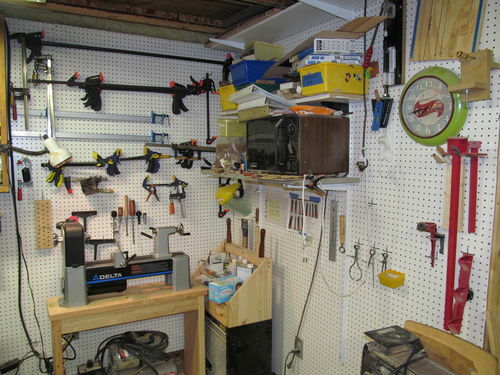 Looks great, each effort results in an improved workspace. Congrats on the effort! I see a nice transformation going on. This could be a inspiration to all of us. Just small changes at a time will keep our shops safer and improve working conditions. Your doing a great job.